This week our usual church services were replaced by the Northern Europe Area broadcast. 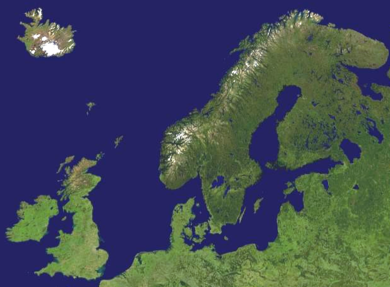 Northern Europe appears to cover the British Isles, Scandinavia and Finland. The first 20 minutes or so of the meeting were conducted locally. We then heard from President L Whitney Clayton, Sister Linda S Reeves, Elder Timothy J. Dyches and Elder M Russell Ballard via broadcast from Salt Lake*. In our stake we opened with the hymn Glory to God on High, a great opening hymn of worship. One of my favourites. Following an opening prayer given by our stake Relief Society president, and the conducting of local business by our stake president, we were treated to a fantastic musical item by our stake choir, a hymn of praise: To God be the Glory. Our stake president then spoke about how we can help others, and how it doesn’t always have to be a huge effort to do so, using as a metaphor an extended cycle ride he’d taken with younger fitter friends, and how he had appreciated being able to benefit from their slip stream for the latter part of the return journey. They helped him. Sometimes we need help. We were encouraged to look out for that one person today, that it is not too much effort to pick up a phone or send a text. Following our stake president’s words, we attempted to connect to the broadcast. There were some initial hiccups so that the opening words of President L Whitney Clayton senior president of the Presidency of the Seventy, who was conducting were lost to us. He was also the first of the broadcast speakers. An optimistic divine perspective, we have the great plan of happiness. Sometimes joy and happiness can seem to be elusive. Enos referred to the “joy of the saints”. 1. Alma the Younger who with the sons of Mosiah had sought to destroy the church and was visited by an angel in answer to the prayers of his father. Spent three days unconscious and in torment until he remembered the teachings of his father about Christ. Real repentance brings joy, a blessing of obedience. “And secondly, he doth require that ye should do as he hath commanded you; for which if ye do, he doth immediately bless you”. 2. The parable of the talents (Matthew 25:14-30), in which a man gives 5, 2 and 1 talents to his servants before going away. On his return he commends the two servants who had used his talents wisely saying “enter thou into the joy of thy lord”, and reprimanded the one who had buried the single talent he had been given. The way we live our lives qualifies us for everlasting joy. We have the opportunity to choose how to invest our talents, in our families, church, employment, family history, sharing the gospel. No effort will go unrewarded. Joy is a consequence of following the Saviour. We have been blessed and have the agency to choose what to do with what God has given us. The rewarded servants did something useful with their talents. The parable teaches of the kingdom of heaven, and that there will be a day of reckoning. Whether we have few or abundant blessings we need to use them well in this life to enter into the joy of the Lord. 3. Lehi’s vision (1Nephi 8), in which he finds himself in a dark and dreary waste until he prays for mercy and sees a tree laden with desirable fruit, which fruit so filled his so with joy he wished for his family to also eat of it. He sees a straight and narrow path with an iron rod leading to the tree. It is by holding to the rod that they would be able to reach the tree. Nephi asks the meaning and also receives a vision in which he is told it is the love of God in the hearts of men that is the “most desirable …most joyous to the soul“. Joy is a gift from God which comes from living as they desire us to live, comes as we put God first, as we love our neighbours as ourselves starting in our homes, and as we apply the principles of the restored gospel in our lives. President Clayton was followed by Sister Linda S Reeves 2nd Counsellor in the Relief Society General Presidency. The broadcast of her address was interrupted on several occasions. Sister Reeves has ancestors from Denmark, Norway, Sweden and the British Isles. Her son and daughter-in-law are currently in London (I think it was that way around) and she feels like she is talking to family. Some time ago she was encouraged to keep a list of “why I know”, and each time she has an experience with the Holy Ghost she makes a note of it. Each time she adds something her testimony is strengthened. She listed some of the things she knows. 1. She was present when her daughter gave birth to a son and felt the witness of the spirit that the child had come from the presence of God. There friends subsequently took the missionary discussions. Sister Reeves and her husband were present in the temple when their friends and their four children were later sealed. At the time they had no idea how important this would become to the Reeves family, the families were connected as the youngest son from one and youngest daughter of the other family married, also in the temple. 4. Joseph Smith is the prophet of the restoration. She quoted Brigham Young. She has spent a lot of time studying his life. She is aware of both the positive and negative comments about him on media. After this life we can receive answers to searching questions. Then we will be grateful we had trusted in prophets and apostles. 6. We are led by prophets who prepare us for the return of the Saviour. I’m told that Sister Reeves quoted from Elder Oaks 2004 conference address about preparing for the second coming. 7. The atonement of Christ. When we rejoined the broadcast Sister Reeves was saying that Korihor was an anti-Christ because he tried to negate the atonement. Repentance is real. Cleansing comes from the atonement of Christ and the price he paid for each of us individually. Those feelings cannot be imitated or duplicated by Satan. This is the greatest witness of the reality of the atonement and truthfulness of the gospel. Sister Reeves then bore her testimony summarising the points she had covered during her address, and urged us to keep our own lists of “why we know”. Elder Timothy J. Dyches was the next to address us. He served as a member of the Europe Area Presidency from August 2013 to August 2016. “Look unto me, and endure to the end, and ye shall live; for unto him that endureth to the end will I give eternal life.” (3 Nephi 15:9). We must press forward, remaining steadfast. To get blessings we must endure to the end. The key is resilience. He told the story of the long-distance swimmer Florence Chadwick and her resilience. She had previously swum the English channel and was attempting to swim the Catalina channel on the California coast. Conditions were tough with heavy fog, and her backup boats having to keep sharks at a distance. She couldn’t see where she was going and eventually gave up, and was devastated to discover she had been within a mile of her goal. Resilience can help us rebound after hard times or a failure. Failure can be a form of feedback. Florence began training and planning again. Near the end of her second attempt fog again obscured her view, but this time she kept going. This time she succeeded, not only setting a women’s record as the first woman to swim the channel, but also beating the men’s record. We can have spiritual resilience if we centre our lives on Christ and his teachings. The Holy Ghost is indispensable. We can see examples of resilience in scripture: Joseph who was sold into slavery Egypt, and imprisoned; Peter who denied Christ but went on to preach the gospel; Nephi who was beaten and bound by his brothers; Joseph Smith who was tarred and feathered yet preached a sermon the next morning; pioneers. The blessing of resilience is hope, and hope brings resilience. It allows forgiveness and overcomes doubt. As it says in the hymn we should “gird up [our] loins, fresh courage take, God will never us forsake”, “hope cometh of faith, maketh an anchor to the souls of men”. The resilient are obedient for “there is a law, irrevocably decreed … when we obtain any blessing from God, it is by obedience to that law upon which it is predicated.” This includes the blessing of resilience. We can be helped by the guiding influence of the Holy Ghost. We can be refreshed in the temple as we bring both ourselves and our ancestors to God. We can learn from the grit of our ancestors as we learn about them. We came to this earth to gain experience and wisdom. Knowledge of Heavenly Father’s plan can give is resilience. As we partake of the sacrament and renew our covenants we see that repentance and resilience are travelling companions. No-one came to fail. Whatever our challenges we can come to God. He quotes from a letter he received from someone on the path back bearing testimony that through God all things are possible. Resilience can be enhanced by spiritual self-reliance. Elder Dyches then listed different aspects of spiritual self-reliance, and also aspects of physical and temporal self-reliance. Ministering to others can allow us to receive revelation for our own needs. We need to teach our children so that they are prepared to face life’s challenges, to be able to adapt to the times without relinquishing core beliefs, and without losing sight of the purpose of life and our divine destiny. We can seek for meaning in our difficulties and challenges. Elder Dyches quoted Elder Hafen that we “can learn from [our] experience without being condemned by it”. He wants us to emphasise optimism, to be believing and be happy, referring to an address by President Hinckley. Some things are beyond our control, other things come because of our choices. If we’re not centred on the Saviour nothing else can be permanently right, “it is upon the rock of our Redeemer, who is Christ, the Son of God, that we must build our foundation”. We need to develop spiritual resilience in a world with political correctness. Symbolically we are swimming in cold, shark -infested waters with rough waves. Live a Christ-centred life, our joy is his joy. Testimony of Christ. The virtue of Christ’s sacrifice is available to all who endure. The intermediate hymn was We Thank Thee O God for a Prophet, conducted via the broadcast. As had been found with previous broadcasts the volume of the music was really not high enough to hear once we were singing, but at least we didn’t get so far ahead this time. Elder Clayton thanked all those in SLC and Europe involved in organising this conference, particularly the technical folk. The final speaker of the broadcast was Elder M Russell Ballard, of the Quorum of the Twelve Apostles. In the beginning the saints from Europe have strengthened the heart of the church. He takes the heart metaphor further, and describes the early European saints, our ‘forefathers’, as having served as missionaries pumping the gospel truths throughout the world. Our dedication to the Lord is revealed in the religious landscape of northern Europe, he specifies numbers of temples, thriving seminary programs and suchlike. Missionaries come from the northern Europe area, and we provide the church with resources throughout the world. We are blessed with prosperity, access to dental and medical care, education and employment. We have flourishing sports and arts. We make a significant and important contribution. We need to keep the heart healthy, regular medical check-ups. He has conferred with our Area Presidency and has some recommendations to make. We need to maintain healthy practice. This means holding fast to out area plan, making personal adjustments in our spiritual exercise. He wishes to raise a warning voice that there are those who trouble us, who pervert the gospel of Christ. There are two powers in the universe, one which invites us to choose the right, and the other the opposite leading to sadness and regret. Life is a test. Which invitation will we accept? The Saviour said “there shall arise false Christs, and false prophets, and shall shew great signs and wonders; insomuch that, if it were possible, they shall deceive the very elect.” They are saddened to see this happening. He has previously shared this story in Utah. On the BYU campus there is a grove of sequoia trees, the world’s largest trees. In the wild these trees can live for 1000 years. The bark protects them from fire, bugs and fungus. One of the trees on campus died last year, after only 50 years, and had to be cut down leaving a stump. The campus arborist wanted to know why the tree had died, and discovered that the feeding roots of the tree had dried up from lack of water. Nearby building work had resulted in movement of the aquifer. This is what happens when stalwart church members die spiritually. They become disconnected from the well of living water of Jesus Christ. We must ensure our connection. Spiritual habits help us maintain our purpose and be unwavering disciples, but can slip away in the rush of our busy lives. He suggested as spiritual habits sincere daily prayer, faithful fasting, regular study of scripture, Sabbath observance, temple attendance, reaching out to the poor and needy. All these things are in harmony with the area plan. Not doing these things can allow Satan to muddy the mind leading to de-conversion. Stay focused on the simple doctrine of Christ. False voices can include the allurement of wealth (he qualified the kind of wealth, but I forget the qualifier – sorry), internet sites that don’t fairly represent the facts, and other things. He made it a point to say that there is nothing wrong with asking questions, or investigating history or doctrines. The church came into being because Joseph Smith asked questions. He asked parents and leaders not to brush off questions or to doubt the dedication to the Lord of those asking questions, but instead to help them find answers. He gave as an example an experience he had with a returned missionary who felt he was losing his faith and testimony, had many questions and met with Elder Ballard. Elder Ballard asked him to write down his questions. He also asked him how long it had been since he had read the scriptures. On hearing it was some time he assigned the young man to commit to reading the Book of Mormon for an hour a day. They met two weeks later. The young man said he no longer needed answers to his questions and had a testimony. Elder Ballard was happy to hear this but insisted he go through the answers anyway, since he’d put in the time getting them together. He has heard stories where those who have asked questions have been treated as faithless. He quoted Peter saying “be ready always to give an answer to every man that asketh you a reason of the hope that is in you”. We need to do better responding to questions. We should not expect that parents and leaders will have all the answers. Even among the twelve there are different backgrounds and experiences. The church has trained scholars we can turn to. The church is dedicated to transparency. The Joseph Smith Papers project website and gospel topics essays provide background to our past. He particularly emphasised background and context. Some have become casual about listening to the Lord’s servants, and skip attending their conference sessions. We won’t find all our answers on google. Some attempt to live beyond their means. Be content and enjoy the blessings you have, avoid unnecessary debt. Avoid being over-programmed, sit and talk and enjoy each others company. Consider how you might cut back and enjoy a less hectic life, finding time to “be still and know that I am God”. Avoid any kind of discrimination or persecution. He quotes from Alma that “there was a strict law among the people of the church, that there should not any man, belonging to the church, arise and persecute those that did not belong to the church, and that there should be no persecution among themselves”. We should talk in our family councils about how we should treat others not of our faith. Let’s be careful what we say about others. We should love our neighbours as ourselves, practice civility and kindness. Elder Ballard asked us to consider the counsel we have received today, to find our feeding roots connected to the well of living water. We will find more peace and happiness accepting Christ and the servants he has sent. The area presidency are doing a magnificent job. Follow the area plan. It is doable by attending to simple personal habits. May this be received in the spirit in which it was given, a spirit of joy. May we have the courage to repent as needed, the strength to turn to the Lord, to love him and serve him and be prepared to one day be held in the arms of Christ. If you need to do better, may God bless you to do so. Take time to think about your life, interview yourself. Keep moving forward through the process of mortality. Watch over one another, strengthen one another. Do those things that will allow us to arrive safely. The closing hymn and prayer were conducted locally. Our closing hymn was Secret Prayer, and the closing prayer was given by our stake Young Women president. This summary is taken from my scribbled notes made at the time. The choice of hyperlinks is mine. My apologies for any errors in reporting. *So I believe, given a reference Elder Ballard made during his address. We missed the introduction to the broadcast by President Clayton. Next Next post: Was Elder Ballard Talking About Robert Norman? Thank you, Hedgehog, for reporting on all this — you must have writing feverishly to keep up. You didn’t say what your feelings or overall impression was — maybe you were writing so feverishly you didn’t really have one, I don’t know. Usually when I read a transcript or summary of such a meeting on a blog, I’ve been conditioned to seek for the sour notes, but I didn’t really notice one here. But then, I’m thoroughly “church-broke”, so I’d be liable to miss some. I think I would have really enjoyed/appreciated the meeting. The choir selection is a great hymn. I don’t think it would be picked for a similar event in the U.S. because it is heavily associated here with evangelical protestants. I’m still processing impressions for this one. The underlying messages may be more subtle than I’ve seen previously perhaps, though they are there. The positive is definitely Elder Ballard’s explicit instruction not to treat those with questions as faithless. That’s interesting ji. The choir wasn’t large, but it was a really polished performance. That came across even though we were getting it broadcast from our stake centre. It was the first time I’d heard that particular hymn and I loved it. Two minor pet peeves: 1) Talents were money in that parable. They aren’t the English word “talents.” It makes me crazy when speakers reduce the parable to meaning a person’s talents. 2) E. Ballard’s war against Google needs to stop. He just sounds like an old guy sitting on the porch shaking his cane as the world goes by. It’s silly. Sure, you can’t find “wisdom” on Google – just knowledge. But does he say that? No. He thinks he’s going to get that appreciative audience laugh every time he bags on Google, and so far he’s right. But he misses that most people are aware that Google isn’t the Oracles at Delphi. Time to get a new schtick. As to positives: I love that they used examples that are specific to the region. Ballard’s talk in particular also seems good about inviting everyone, including those with questions and doubts. My Pet Peeve: The Elder Ballard story of the returned missionary not needing answers to his questions because he read the BofM???? How is the BofM going to explain JS marring 14 year old girls, or the BofA translation? He starts out OK saying those with questions are OK, but then reduces it to they just need to pray and read the scriptures, and not Google. All this might not have helped the members in Scotland, the people of my ancestors, who according to my European friend tells me a large amount of members have left the Church? Angela, I do think talents was used rather more broadly than the typical talents talk we usually hear ie. stuff we’re good at. In the address it seemed to encompass everything we’ve been blessed with, which for me actually brought it closer to the original parable. I don’t know what the aversion to google is. My observation is the church plays the google game rather well now. They always seem to be up there on page 1 of the searches. Bishop Bill, well given he’s trying to persuade people not to dismiss those with questions I guess he feels he needs to provide a positive example, by way of encouragement. I agree there needs to be a bit more movement in addressing these things than a that renewal of testimony negates the need for answers or Sister Reeves being happy to wait until the next life to get answers on JS, but if that is the only positive example he has to work with at the moment, then that’s where we are. A long way to go. That’s interesting Mary Ann. Thanks for bringing that up. The heart metaphor did seem a bit clunky applied to Europe, given that those early saints are not generally the forefathers of those of us still in Europe, and I was a little bit sceptical just what specifically the European saints contribute that warranted quite the weighting given it, though it’s true we do provide missionaries. Perhaps it’s a quality over quantity thing. Elder Kearon is ours after all. I recall we’ve heard that story about the missionary and the BoM before as well, my daughter also recognised it. I don’t have statistics for Scotland Kangeroo, and we don’t really hear much of what is going on there. The previous broadcast, which I also blogged about, came from Edinburgh, so they were visiting Scotland in person then, perhaps for the reasons you mention. Good job HH, but I found the talks garbled, although it’s always good to focus on those things that build us. It seemed to me that I heard that I should treat those who ask questions respectfully but that googling wouldn’t do, so they should see the Bishop-who won’t have answers either. What we should be saying to our young people I think is that we don’t have answers , just more questions, but on balance the gospel works for us as testifying individuals.He made it sound as if someone else had these answers. I was also deeply troubled by the sister’s citing of the Boxing Day tsunami as being a witness to the world of God’s anger. Badly done I think, and disrespectful to the suffering of others. Such things never make me feel I am among friends whose opinions I can trust. I also didn’t appreciate the reference to political correctness as an evil, seems to me it’s a witness of the many courtesies that he cites we should impart to to others. Boggling really. Thanks handlewithcare. It would be the church scholars (will we see them getting profiles on lds.org I wonder?) that have those answers, was what I got, accessible via the gospel topics essays or the JS Papers project, not google. Perhaps the Bishop is meant to point those coming to him for answers to those things, but the address wasn’t very clear on that point, perhaps deliberately so. Boxing day tsunami as what? Just as well we missed that bit of Sister Reeve’s talk I reckon. Help! Totally with you there. Her talk was the best structured I thought, but also the scariest in some respects, even more so with this new information. “The church is dedicated to transparency.” Hmmmmm! “Follow the area plan.” Why not just follow the teachings and example of Jesus? “Avoid any kind of discrimination.” Shouldn’t that statement be pointed back at the church policies? Not just pointing down at the members? “He has heard stories where those who have asked questions have been treated as faithless.” Amen!!! Oh boy, could I tell you a story or two. Overall, great report on a conference that actually sounds pretty darn good. Excellent production for the most part. I only wish some of our local meetings were on this level. I want to disagree with Elder Ballard concerning his point relating to the sequoia trees in Provo and how they died because they were disconnected from the water source which he likened to stalwart members of the church becoming disconnected from the well of living water of Jesus Christ. I happen to know of more than one person who has left the LDS church precisely because they could not find Christ taught with power and clarity in the LDS meetings and sought it from other evangelical churches with greater satisfaction. Our over-emphasis on following the leaders and the centrality of the institution of the church can be a false idol that displaces our worship of Christ. Elder Ballard needs to visit some of these other churches and see for himself. We (my ward) are a trickle in the desert when it comes to meeting Christ in our meetings in comparison to the Mississippi river of preaching on Christ that flows from many evangelical churches here in the South. Yes, like the mighty Mississippi, some of the waters are muddy. But the living waters of Christ are found in far more abundance in other churches. Elder Ballard doesn’t exactly ignore Christ in his sermon as is too often the case. But his inclusion of Christ in his sermon is by my seat-of-the-pants guess at about 10% or less. That is not very much “water” Oh, the irony. “Perhaps it’s a quality over quantity thing. Elder Kearon is ours after all.” LOL! Btw, I really appreciate you writing up these summaries of the regional conferences in Europe. As I’ve been going back over talks in 2015 and 2016 with my research on that MormonLeaks slide, your 2015 summary is the only account I can find of that conference, so I’ve been going back to it often. I like Ballard’s talk overall. It was just unnerving to have that feeling of deja vu when he spoke to us since I’d already become familiar with his address to the Utah South area the year before via the blogs. Mike, I agree we could often do with more “we talk of Christ, we rejoice in Christ, we preach of Christ, we prophesy of Christ” in our meetings, and considering those words come from the BoM it’s shocking we often don’t. Sam, That transparency remark was pretty ironic coming at the same time the MormonLeaks site has had to take down the powerpoint slide I thought. Still I can hope to see them following through on transparency now I guess. There was some second time hearing for me in this conference – our stake president’s address was based on one he’d given at the Saturday evening session at our stake conference a few months ago, though he said as much before he began so not unexpected. And then Elder Ballard’s story about the returned missionary that both my daughter and I recognised, she thought from a general conference. President Clayton’s introduction to the other speakers went past respectful to sycophantic and came over as some kind of exercise in perpetuating leader worship, I found it repugnant. Sister Reeves came over as nice but banal – reinforcing the obedience mantra of I may not understand now why Joseph did some of the things he did, but in the next life it will all be clear – this approach has had its day. Enter Elder Ballard. I understand why some people might have found his downplay of google frustrating, but I found his plea for a lack of discrimination and a respectful treatment of those in the church who have questions, refreshing. We need more of it. We need more acceptance, recognition and validation of people in our wards and branches who hold different levels of belief, if we continue to only validate orthodoxy and orthodox mormons the growth and stability of the church in Europe seems to be precarious. Jazzy Jay, Just as well I didn’t get the introduction either, it sounds like. Looks like in earlier years, he usually included the line “Give the Lord equal time” towards the end. I know I’ve heard that phrase often in the church. Thanks for looking Mary Ann and for that link. Above and beyond etc. I couldn’t find one either. Possibly it was a video clip in an online seminary lesson, though I’m not sure how it would fit in there, though they do include lots of clips in those lessons. 1997 really dates it though. 20 years ago!